There are many factors which cause premature skin ageing, and most of them are related to lifestyle. These factors provoke the increased formation of free radicals which are the major cause of premature skin aging. WHEN SHOULD I START USING AN EYE CREAM? Skin ageing is very individual and depends on different factors. The first lines to appear are those around the eyes, because this is where the skin is at its thinnest. Even younger people suffer from dark circles and puffiness around the eyes. It makes sense to start using an eye cream as soon as you start to see the first fine lines. For some people, the use of eye cream before they turn 30 is beneficial. WHEN WILL I SEE THE EFFECTS OF AN ANTI-AGEING CREAM? This depends in general on the skin type, the age and the condition of the skin. There are immediate effects you can see and feel – fine lines are reduced and the skin is moisturised and smooth. For your anti aging cream to work to its full potential, you should apply it regularly and throughout your life. Q10 is a natural, vitamin-like substance that can be found in every cell of the human body. It plays a key role in cell metabolism and the way in which our bodies convert food into energy. It stops free radicals from damaging cells, which is what causes skin ageing. The body's own production of Q10 slows down with age, which is why an anti-ageing cream with Q10 is important to find. WHAT DO I DO WITH IMPURITIES AND WRINKLES? People with combination skin can use an anti-ageing cream, as long as the product is designed for combination skin. Combination and impure skin require light textures that absorb quickly and don’t clog pores. In terms of your skin regime, remember to deeply cleanse the skin with products that have been specifically designed for moisturisation. Q10 Plus Anti-wrinkle Combination Skin Cream SPF15 works with skin’s processes to reduce the appearance of wrinkles and is suitable for the needs of combination skin. With age, there are many different processes in skin that change skin appearance, structure and activity. There are about 300 different theories about why and how we age, and at our research centre 450 researchers are trying to identify the secret of skin ageing. Important changes during skin aging are, for example, reduced cellular activity, lower epidermal turn over, less collagen production, and accumulation of damage due to free radicals caused by UV exposure. These changes can result in a loss of moisture and elasticity, the appearance of fine lines, wrinkles and pigmentation. Try using an anti aging cream like Cellular Anti-Age Skin Rejuvenation Day Cream with SPF15 to visibly reduce winkles, increase firmness and improve skin renewal and deep cellular rejuvenation. WHICH VITAMINS ARE IMPORTANT FOR THE SKIN? Vitamins, especially in daily nutrition, play an important role in our metabolism in general, as well as in skin’s metabolism. Vitamin E is an antioxidant which can provide protection against negative external influences. It neutralises free radicals. Pro vitamin B5 is a precursor to vitamin B5. Within the skin it is quickly metabolised to vitamin B5. It has calming and soothing properties and provides the skin with moisture. Furthermore, it supports skin’s regeneration process overnight. Therefore, it is very suitable for sensitive, rough and irritated skin, as well as for night care products. Our bodies react to stress in the same way they have reacted to potential dangers for thousands of years - by releasing hormones that respond to an immediate and short term threat. Today stress plays a more constant role in many of our lives. Our bodies are constantly producing these hormones and this makes our skin age faster. The most prominent hormone in the stress response is cortisol. Cortisol can influence the breakdown of collagen, the most prominent part in deeper layers of the skin. Changes in collagen structure and amount can result in wrinkle formation, but an anti-ageing cream containing creatine will support collagen production and help prevent fine lines and wrinkles. Free radicals are chemically-reactive substances generated by the body, especially when it is exposed to UV radiation. These reactive molecules can cause cell damage and premature aging. Reduce the effect of free radicals with NIVEA Q10 Plus Anti-wrinkle Day Face Cream SPF30 and give your skin a fresh and radiant look, like after a good night's sleep. Anti-ageing creams and face creams in general work well even when they are simply applied to the skin. However, a few massaging strokes from the middle of the face to the outsides or light taps with the fingertips helps to improve circulation and can be quite relaxing. The skin ageing process is very individual and can be influenced by many different factors. One can say, that from the age of 25-30 you should start to give your skin the protection it needs. UV filters and adapted anti-ageing ingredients, such as creatine and hyaluronic acid, are therefore essential. Skin type and age play an important role in choosing the best face cream. 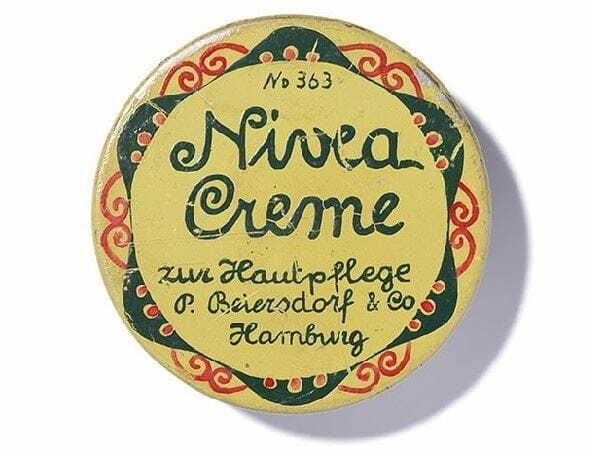 Creams are often designed with a particular skin type or age group in mind and contain ingredients that support the skin's specific needs.